Beauty meets science with our innovative website design powered by the smartCMS® Website Technology Platform built for hoteliers like you. 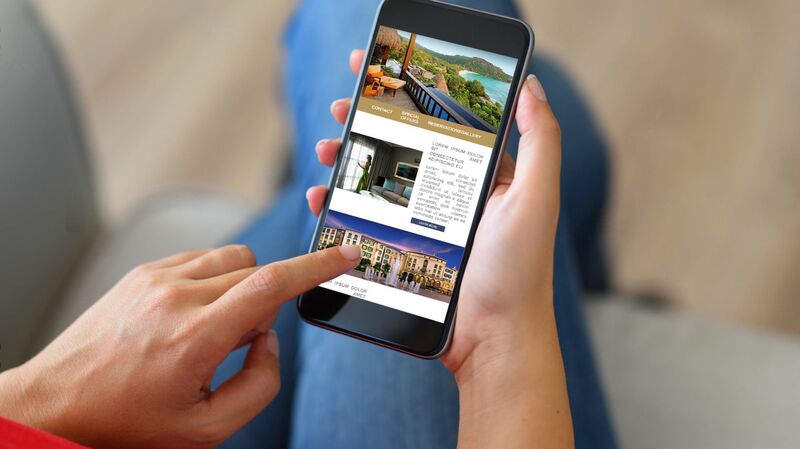 As experts in hospitality technology, our digital marketing team takes a data-driven approach to create effective and engaging digital brand experiences that tell your compelling story to book direct. The real brains behind the beauty of our websites to drive conversions for you is the smartCMS®. Your website is backed by this game-changing platform. You will enjoy an average increase of 25% in direct bookings compared to other websites, and you will yield a direct distribution cost of 4.5%. ―A website is the first impression of any property. Having a beautiful website is your first touchpoint a potential guest has with your brand. ―An engaging and highly visual experience for the website visitor on the three screens (Fully Responsive) is a must in order to keep them on your website. ―A website can not only be beautiful; It has to leverage fundamental features that drive direct online revenues. ―With Google’s mobile-first indexing being rolled out, it's more important than ever to have a fully responsive website. To find out more about our website design and development and smartCMS technology backend please fill out the form below.